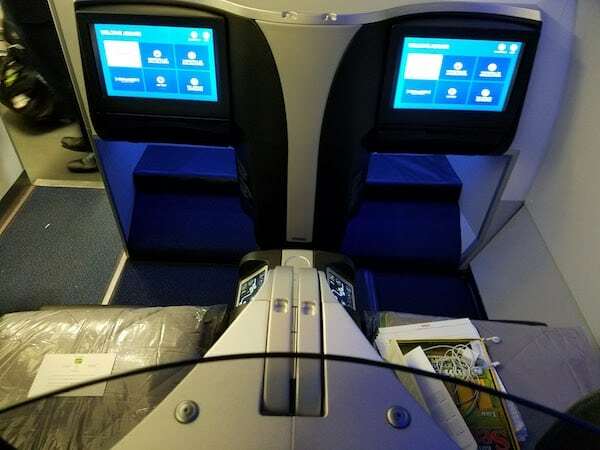 I received a ton of JetBlue points through their points match promotion last summer (in addition to signing up for one of their credit cards). 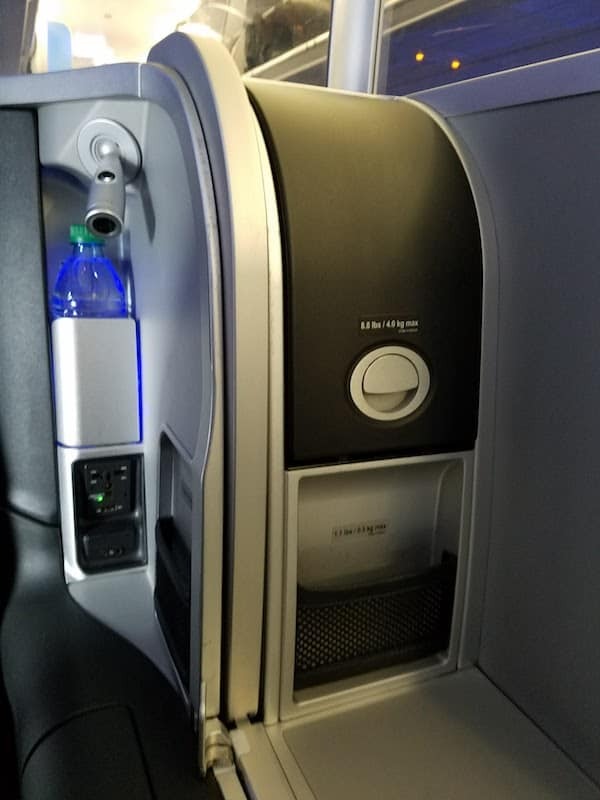 I wanted to try out the JetBlue Mint product (their premium class product). 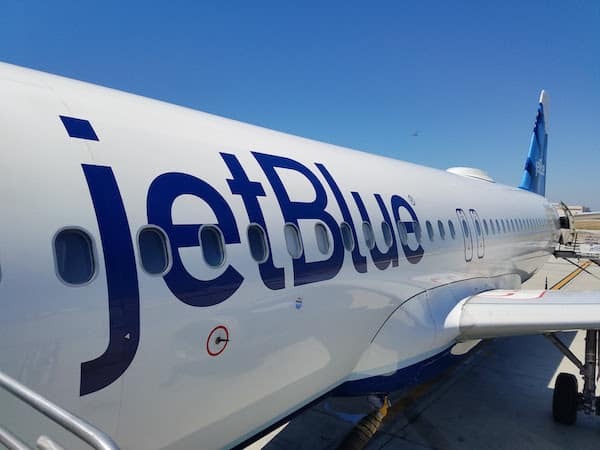 With an upcoming stay in Puerto Rico, I decided to get creative with my routing so I could fly the new JetBlue Mint LAX-FLL route. 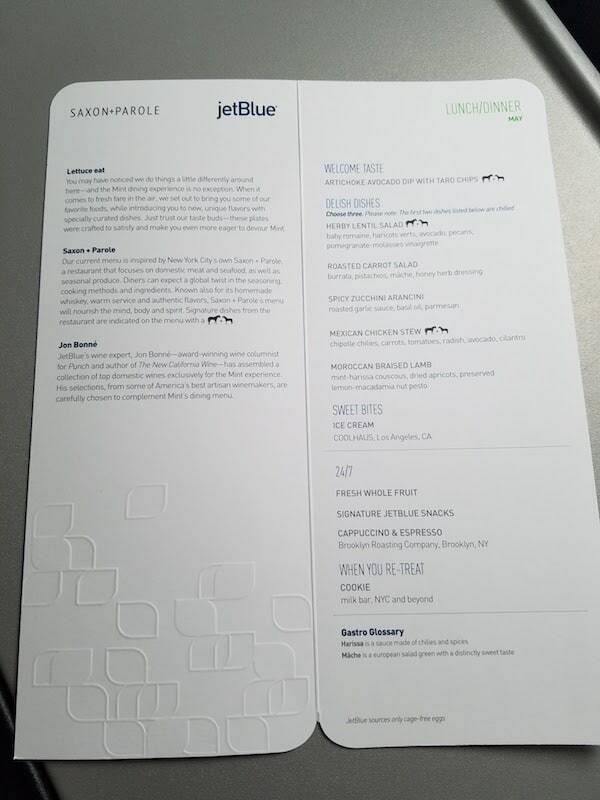 The ticket cost me 37,600 JetBlue TrueBlue points plus $5.60. As I have a JetBlue credit card, I received 3,760 (10%) of the points back so the flight ended up costing me 33,840 points. 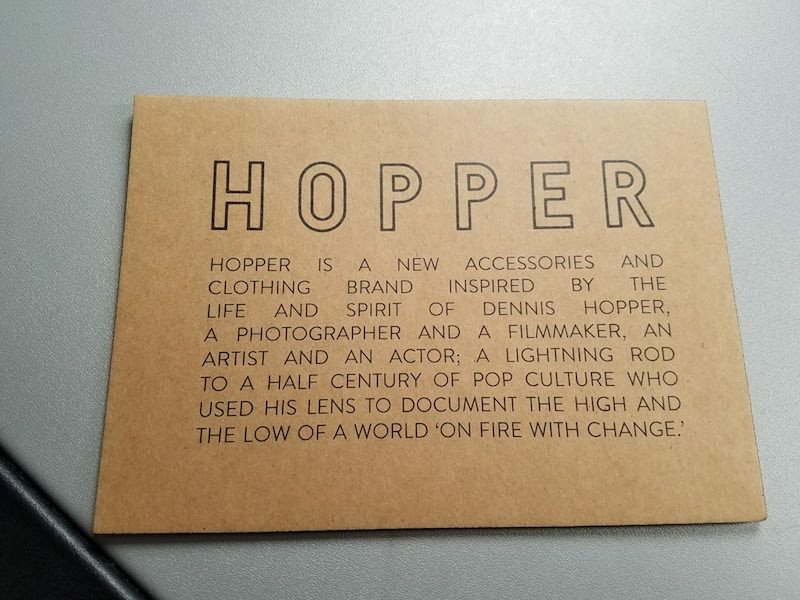 Had I paid cash it would have been $499 (one way). The pre-flight experience at LAX is pretty horrific. Currently JetBlue flights depart from Terminal 3. The only lounge option is the over crowded Virgin America Loft, slated to close this week. The food options are minimal; when waiting for the shuttle from Terminal 6 the staff said “I hope you like Burger King and Starbucks”. Not only that, but there is limited seating in the terminal and the bathrooms are disgusting. 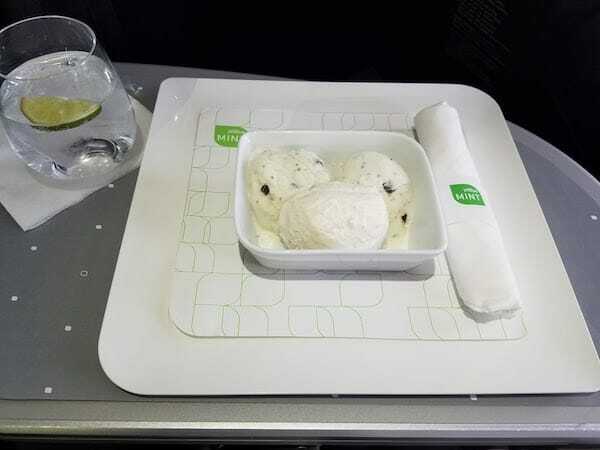 If JetBlue wants to make LAX a hub for their Mint flights, they are going to need to make some changes. 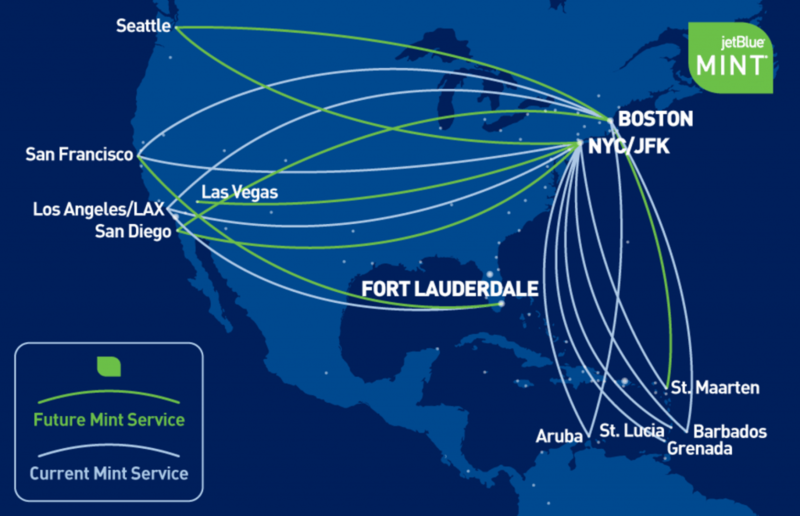 Fortunately, as of May 17 JetBlue is moving to Terminal 5 and will share it with American. This also means the Alaska Lounge and lounges at Tom Bradley International Terminal will now be accessible post security. I’m guessing an Admirals Lounge will be coming to Terminal 5 as well. 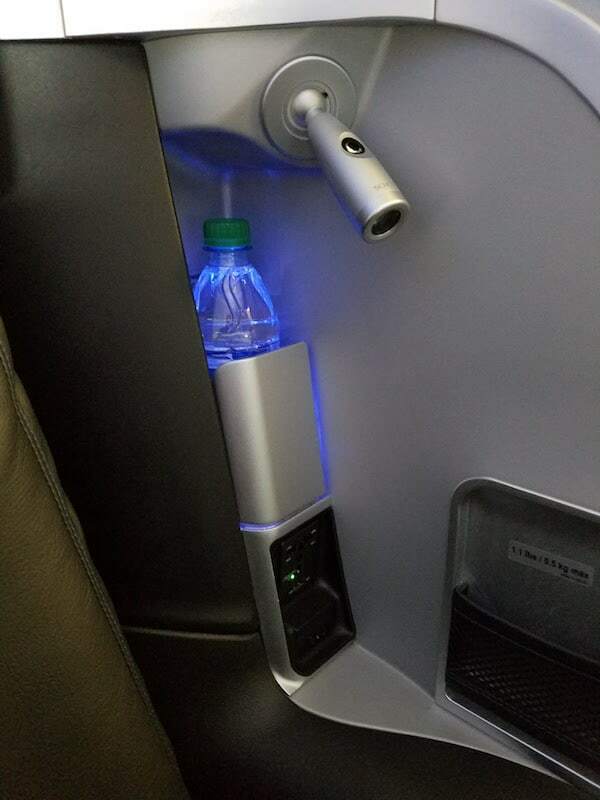 Only a few planes have the JetBlue Mint seats. These planes are for their long haul flights East to West Coast and to a few locations in the Caribbean. 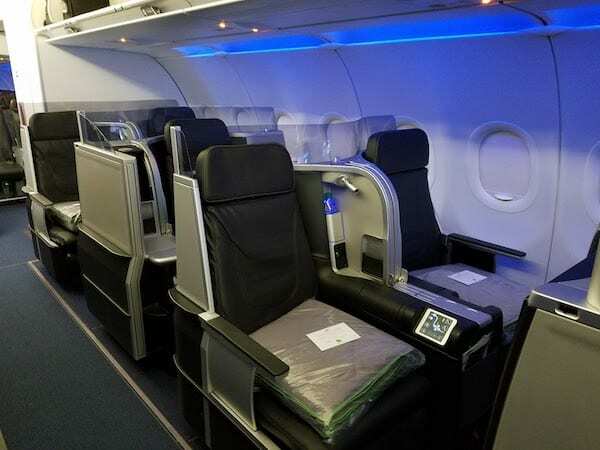 The front third of the plane is the JetBlue Mint cabin of the A321 aircraft. 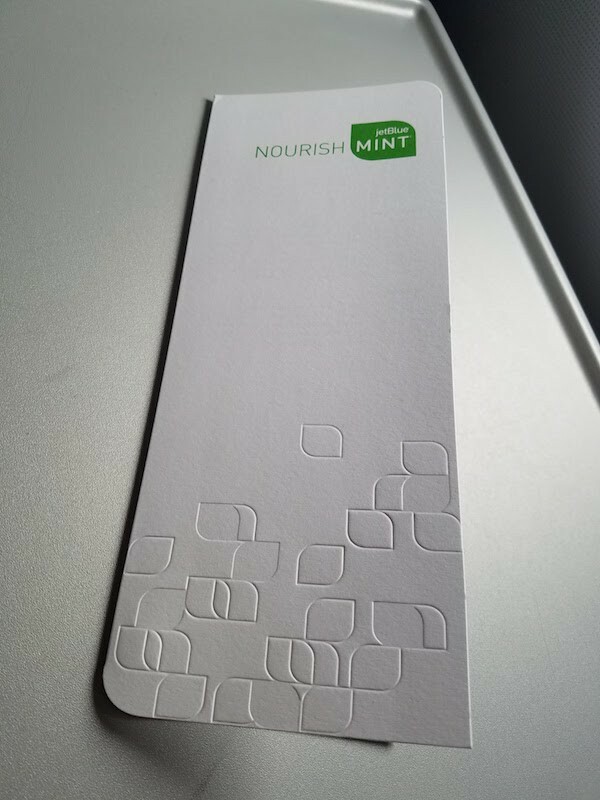 I was on a 3 year old aircraft with the name “One Giant Leap For Mint Kind”. There are 5 rows of Mint seats. Rows 1, 3, and 5 are set up 2-2 while row 2 and 4 are 1-1. 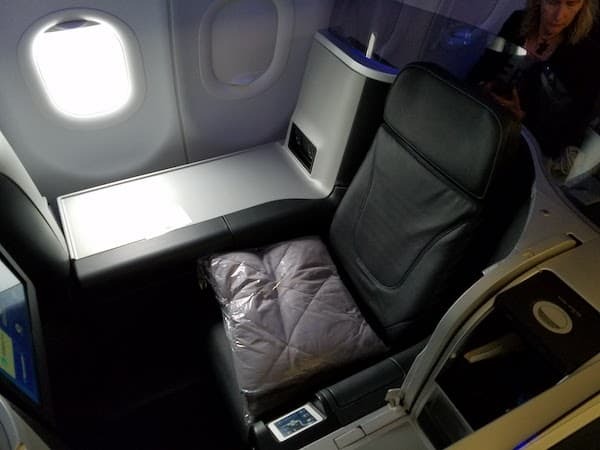 JetBlue calls these 4 seats “suites”. They do not cost any more; you just have to reserve them early. If you are traveling alone (or even with someone else), these seats are by far superior. 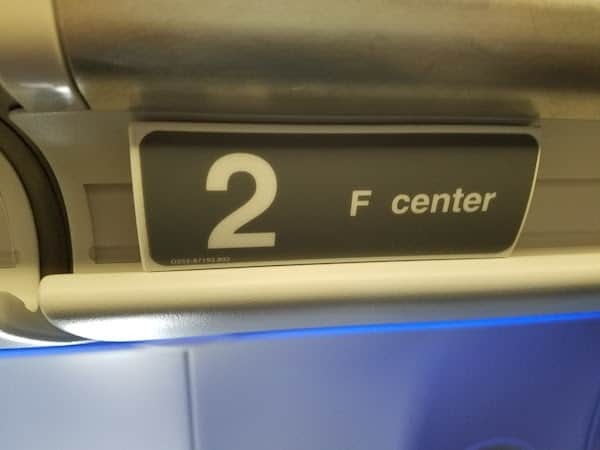 I picked “suite” 2F. The seat itself is in the middle with space on each side. 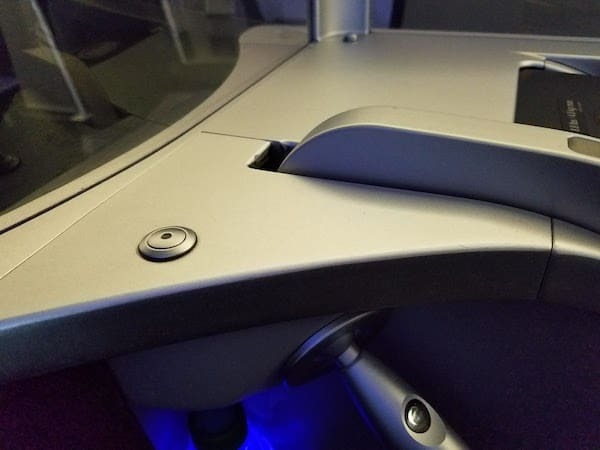 The space between the seat and window is a waste; there is no storage (but there are two outlets). 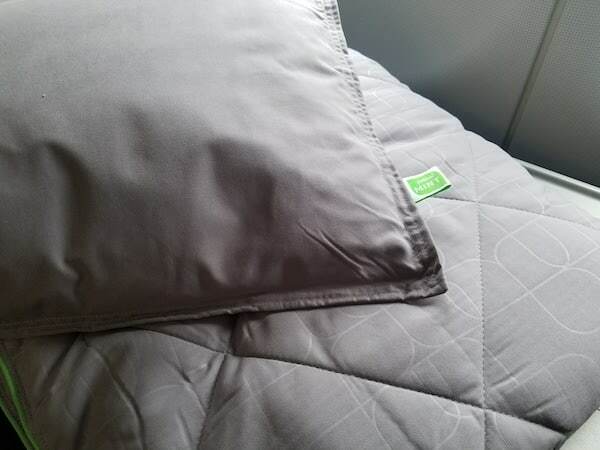 Once you are in flight there is actually a door that you can shut to make the suite even more private. 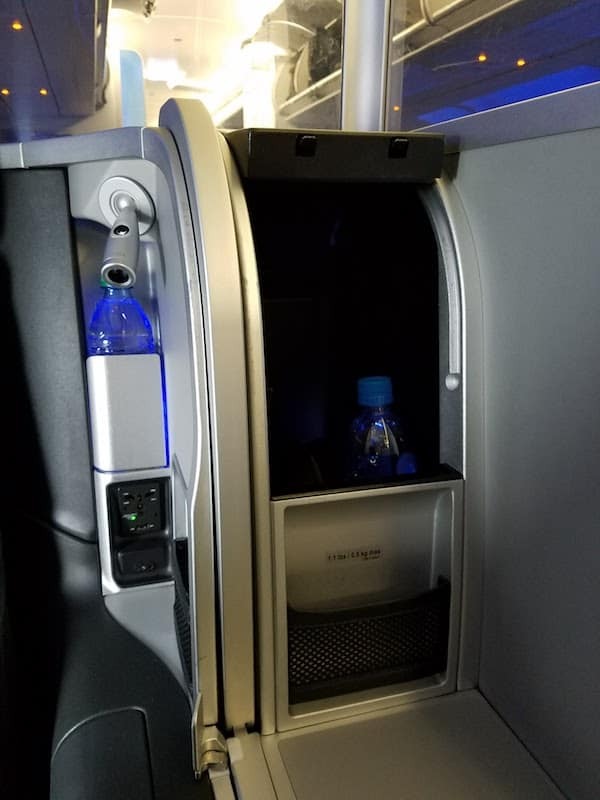 The aisle side has another outlet and various storage areas as well as the tray table and reading light. I appreciate the thoughtfulness of the storage. There is a great spot for your cell phone next to the outlet. 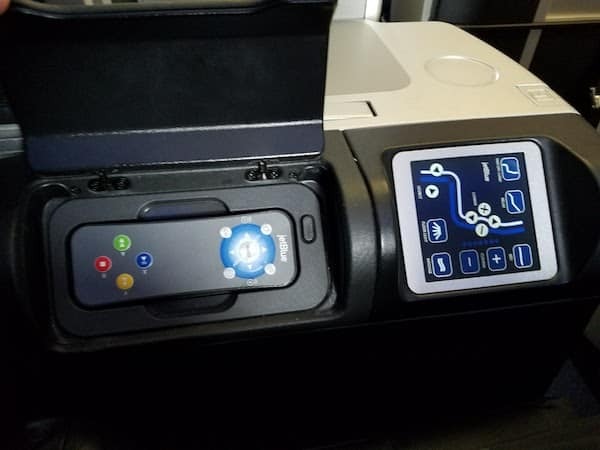 Much of the storage has a blue LED light which gives the cabin a nice glow. 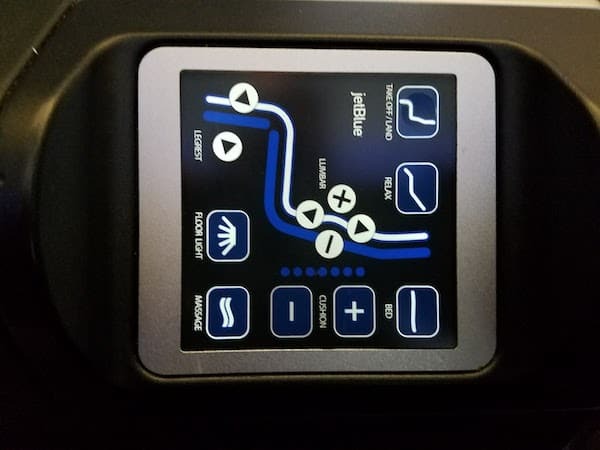 The seat controls are pretty easy to figure out. The seat does go completely lie flat should you want to sleep. 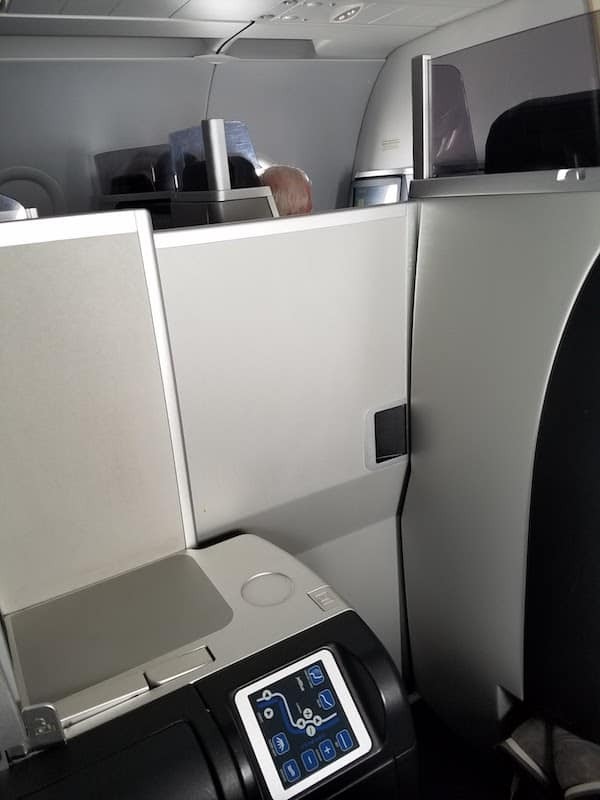 You can control the large touch screen TV with the remote next to the seat control. 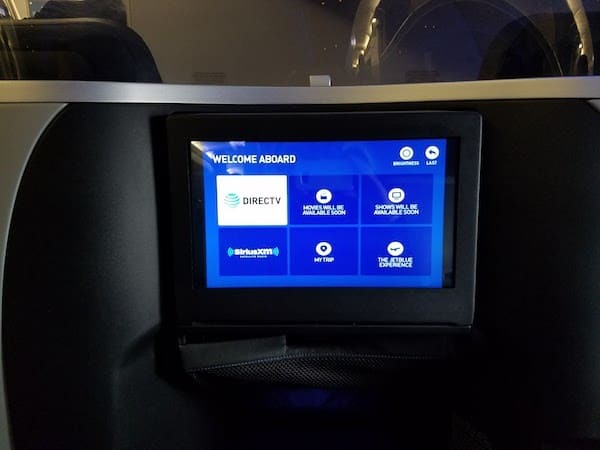 As it is JetBlue, there are many live DirectTV choices, as well as on demand movies and tv shows. Wifi is free for all passengers but is pretty slow. 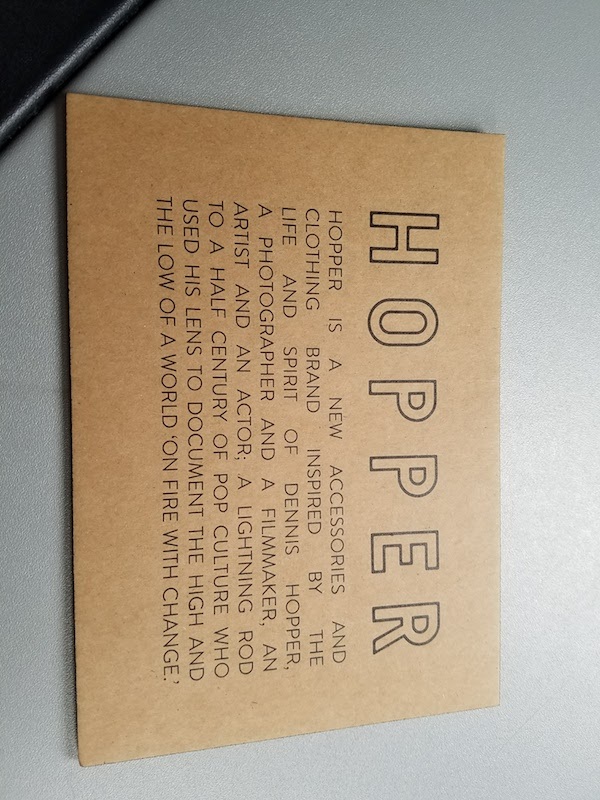 Staff provide A blanket and pillow, as well as a water bottle and note from the staff. 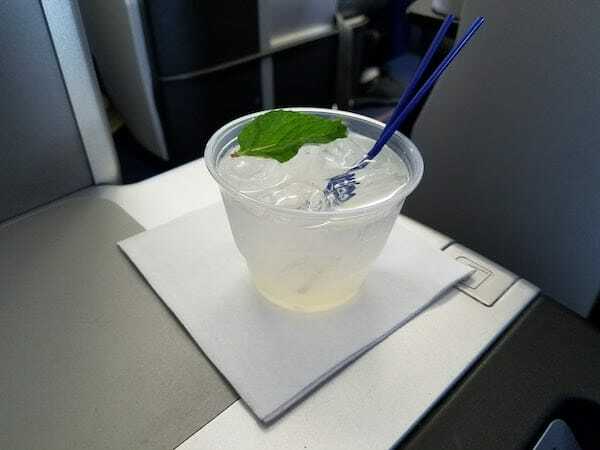 The flight attendant came to each passenger before take off to introduce himself, show me how the seat worked, and offer a pre-departure beverage. I picked the signature RefereshMint — Limeade with mint and Vodka. 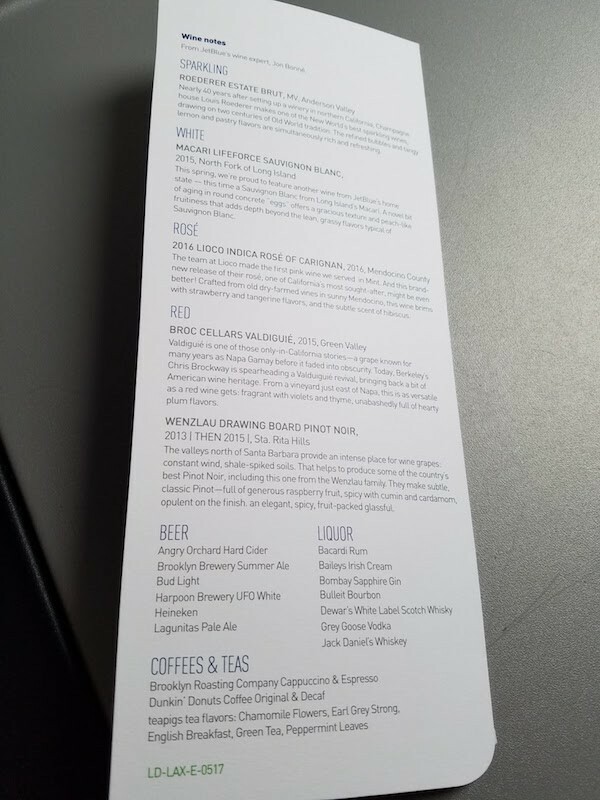 The flight attendant also brought the menu and explained how it worked. Basically you pick three of the main course items. Throughout the entire flight he was very attentive, probably the best service I have ever had on a domestic flight. 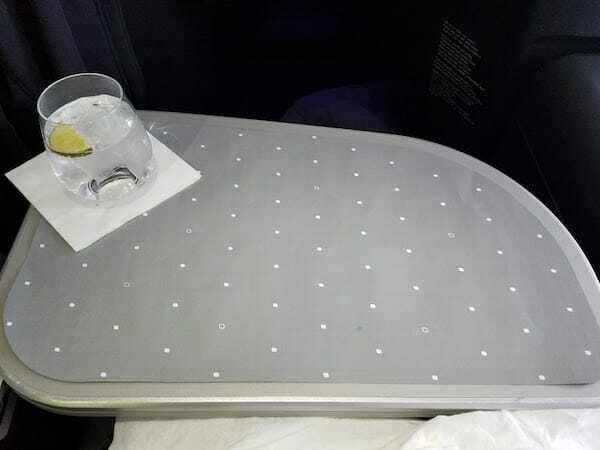 The flight attendant also explained that there is a little button you can press to alert the crew that you would like to be woken up for meal service should you take a nap. 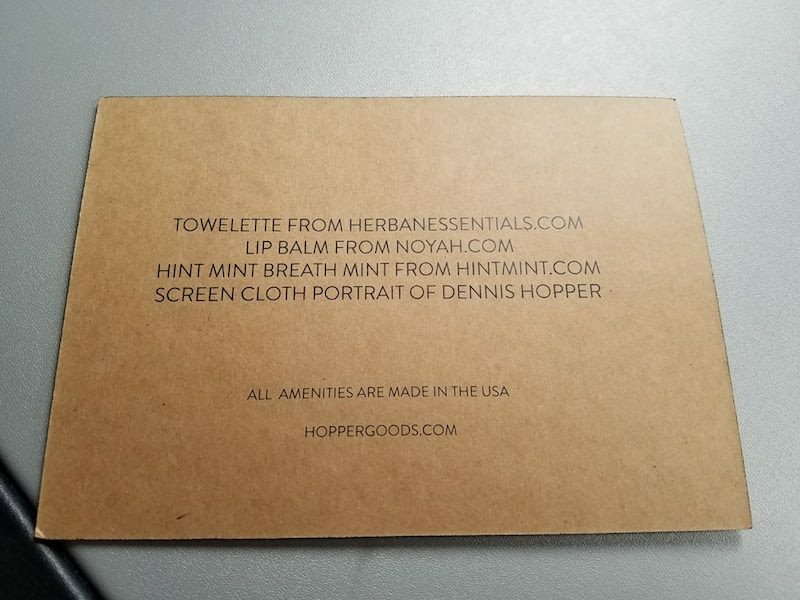 Shortly after take off he also brought around the amenity kits. There is a male and female version and they rotate through what is in them. 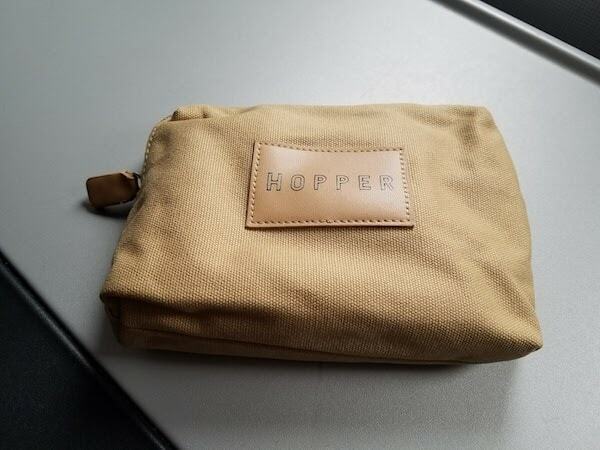 Currently it is “sponsored” by Hopper brand (yes, inspired by actor Dennis Hopper) and contains the standard airplane amenities. About 45 minutes after take off the meal was served. 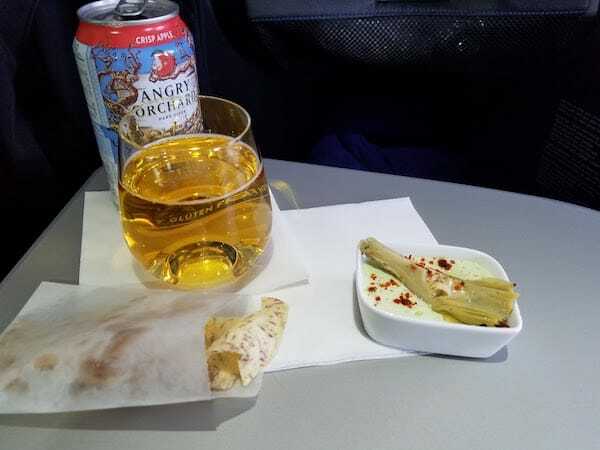 First the chips and dip were served along with a second drink. The artichoke dip was delicious. A place mat was brought out before the main course. 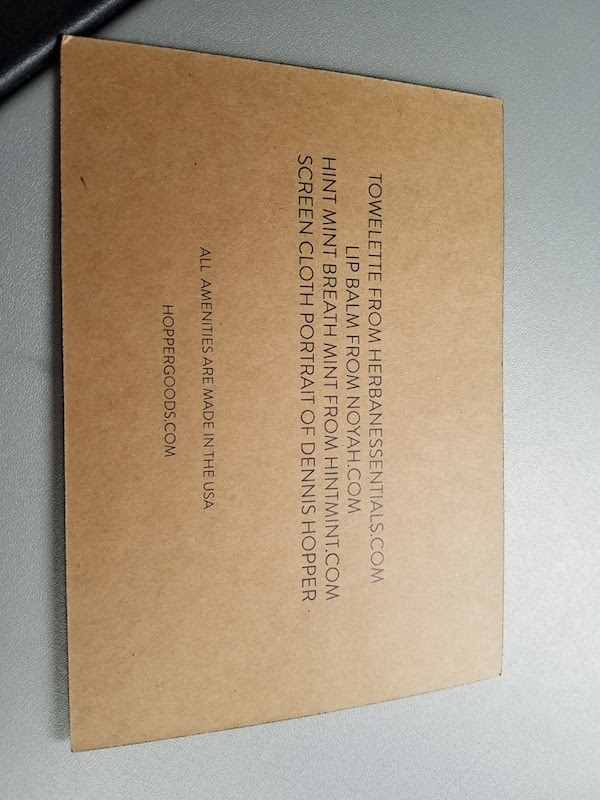 It isn’t a white table cloth but it is a thick paper material with a non-slip surface. 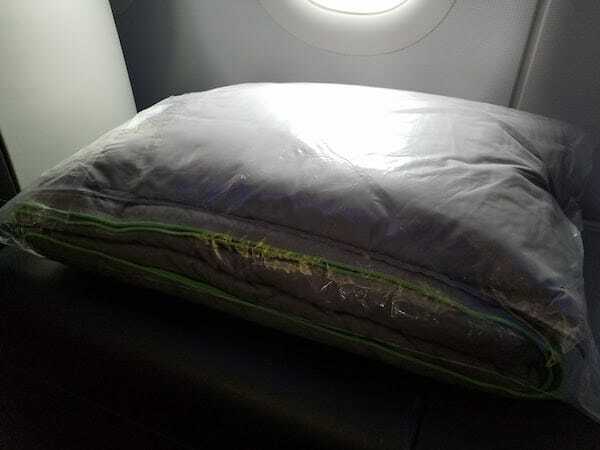 I think it is excellent in the case of turbulence. For the main course I picked the lentil salad, zucchini arancini, and chicken stew. The zucchini arancini was the best dish of my three but all were very well done and flavorful. Dessert was ice cream. One scoop was vanilla and I am not sure what the other two were. We will go with “fancy chip” flavor. 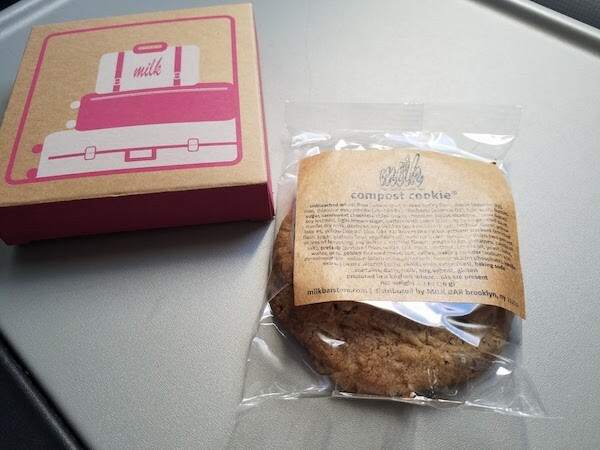 And if that wasn’t enough dessert, before landing a take home cookie from Milk Bar was delivered to each JetBlue Mint passenger. 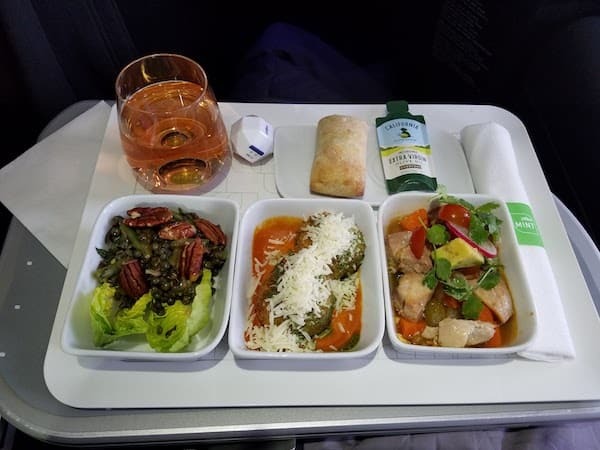 Although the flight was only 4.5 hours, I was able to comfortably have dinner and fit in a nap. 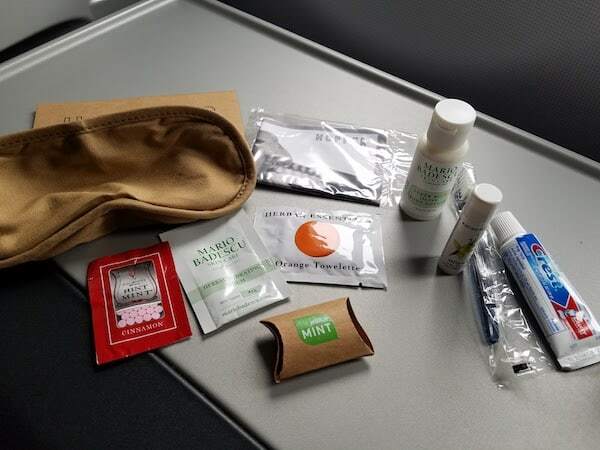 Other domestic airlines have a lot of catching up to do in order to compete with JetBlue Mint. The closest I have flown is American Airlines’ Flagship First LAX-JFK. 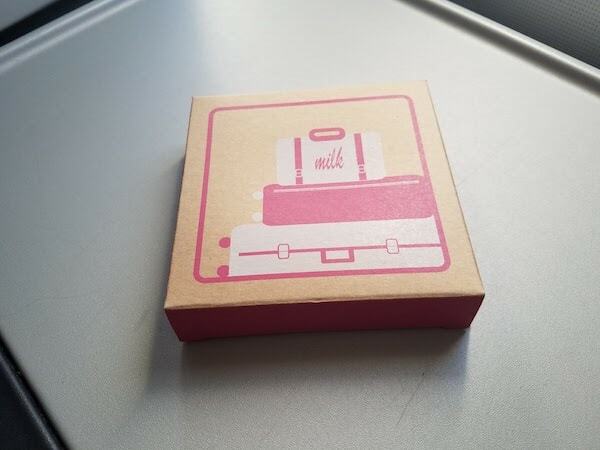 I will trying out the Virgin America First Class next month, however it is soon to retire. 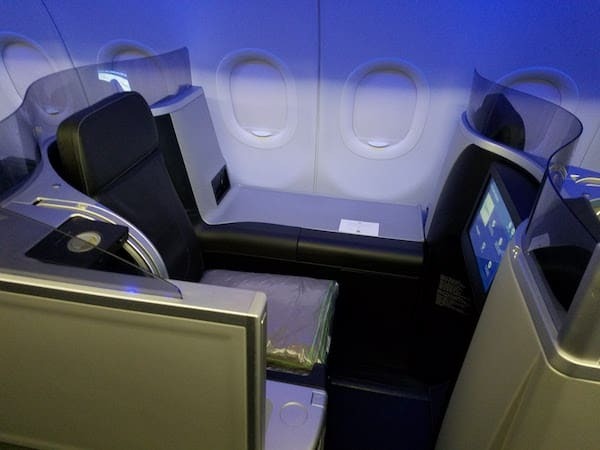 JetBlue Mint is expanding and soon to offer SEA-JFK and SEA-BOS flights. 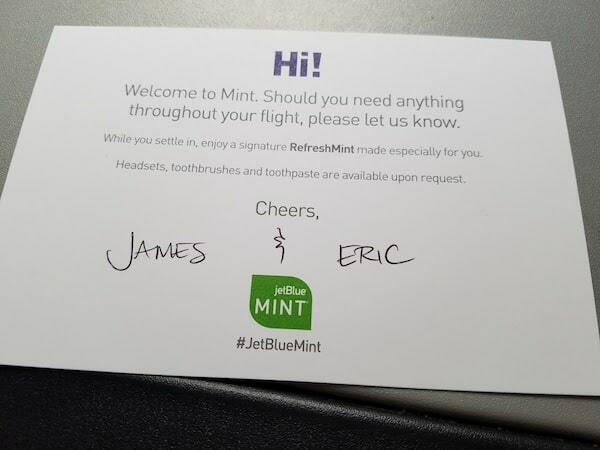 I look forward to trying out JetBlue Mint again. As of now there is no better (commercial) way to fly domestically.